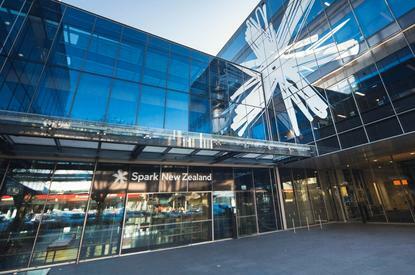 Spark has unveiled plans to share scamming information with the New Zealand telecommunications industry in a bid to combat incoming attacks. The telecommunications giant has joined the NZ Telecommunications Forum (TCF) Scam Calling Prevention Code, which aims to improve the process of identifying, verifying and taking action on scam calls to landline and mobile phones, irrespective who the phone provider is. “The fact that the whole industry has got behind this code is a great step forward,” acting CEO for Spark Home, Mobile and Business, Grant McBeath, said. “Historically, when we’ve seen scam activity on our network, we’ve lacked a fast and simple way to coordinate between other New Zealand service providers to block scam activity when we see it. According to McBeath, scam calls “nearly always originate from overseas”, cycling through a variety of international and local numbers to make activities appear legitimate. Prior to the TCF Code, each network operator acted against scams individually, reporting scams amongst each other on an informal basis. Going forward, the Scam Calling Prevention Code will establish a “consistent and shared approach” to identify and block scam calls between networks in New Zealand and from overseas. The expectation is that this will reduce scam volumes but not stop scam calls from occurring however. “The most effective way to stay safe from scams is still to be vigilant and wary when a call is unexpected,” McBeath added. “Even if we manage to reduce scam calls significantly through this new partnership, some scam calls will still get through. Ultimately, we need every individual to know what to look out for. The first initiative to launch is a new webpage that will report up-to-date scam alerts. “With these initiatives, alongside the implementation of the TCF Scam Prevention Code, we hope we will be able to reduce the number of scam calls reaching Kiwi shores and then empower more people to prevent any scam attempts from being successful,” McBeath added.